This weekend I found myself in Memphis visiting Hotel Indigo Memphis. 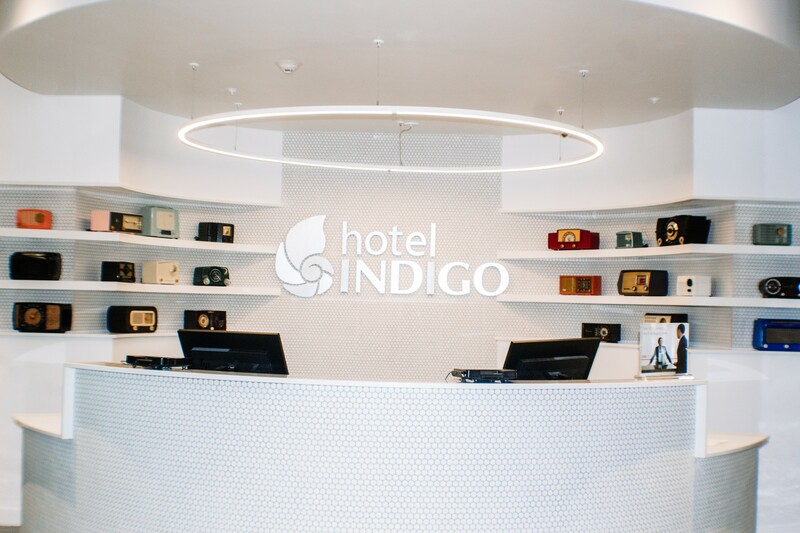 Hotel Indigo just started taking bookings earlier this year, and I was dying to check out this beautiful hotel. 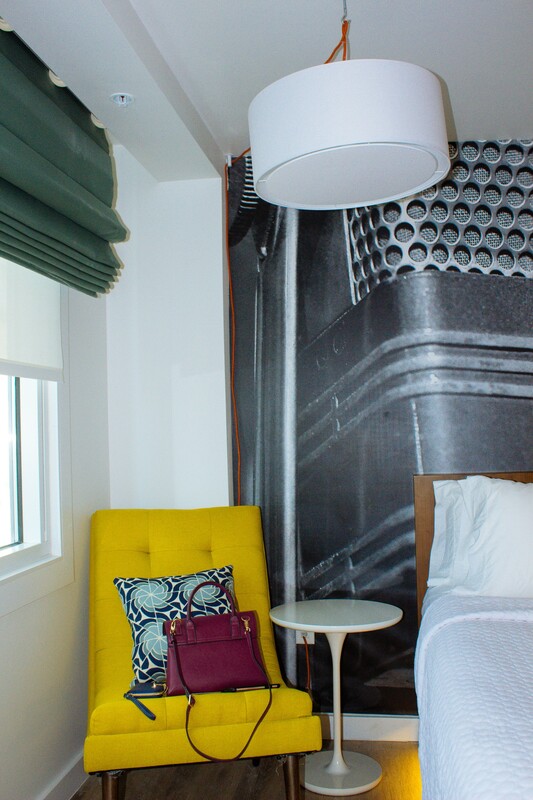 I didn’t have a downtown hotel that I was locked into, so it was amazing to check out Hotel Indigo for a taste of what a downtown stay in Memphis could be. If you are looking for a hotel while you are in Memphis, Tennessee – this is the place to be. Note: Hotel Indigo Memphis gave me a complimentary night in exchange for this review. All opinions are my own. We booked my stay during St. Patrick’s Day, which is a big deal in Memphis. Being in town during such a huge celebration was fun. Beale Street is insane during St. Patrick’s Day weekend, and it was my first time being here during this time of year. 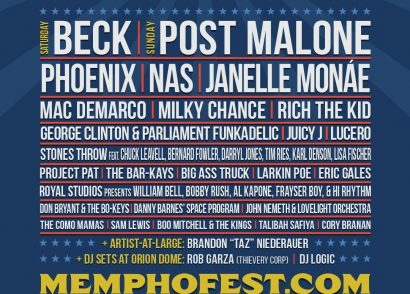 I love visiting downtown Memphis during any time of the year (especially on weekends), but if you are looking for a particularly excellent time to visit, I would say St. Patrick’s Day, Memphis In May, or during other weekends in the spring/summer would be a great idea. 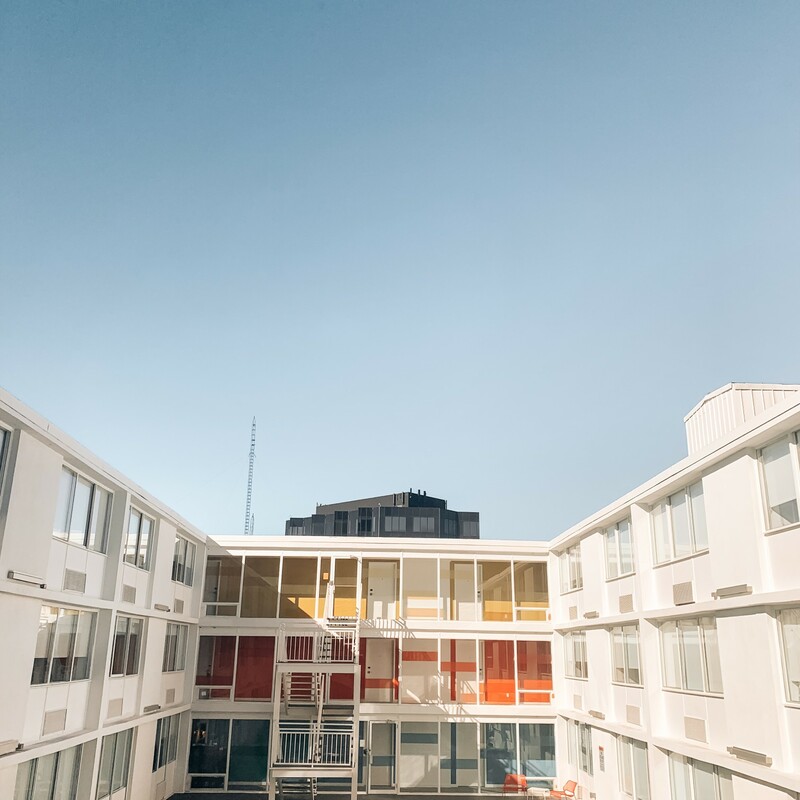 The beautiful building that houses Hotel Indigo was initially built in 1963 by the Holiday Inn founder Kemmons Wilson. 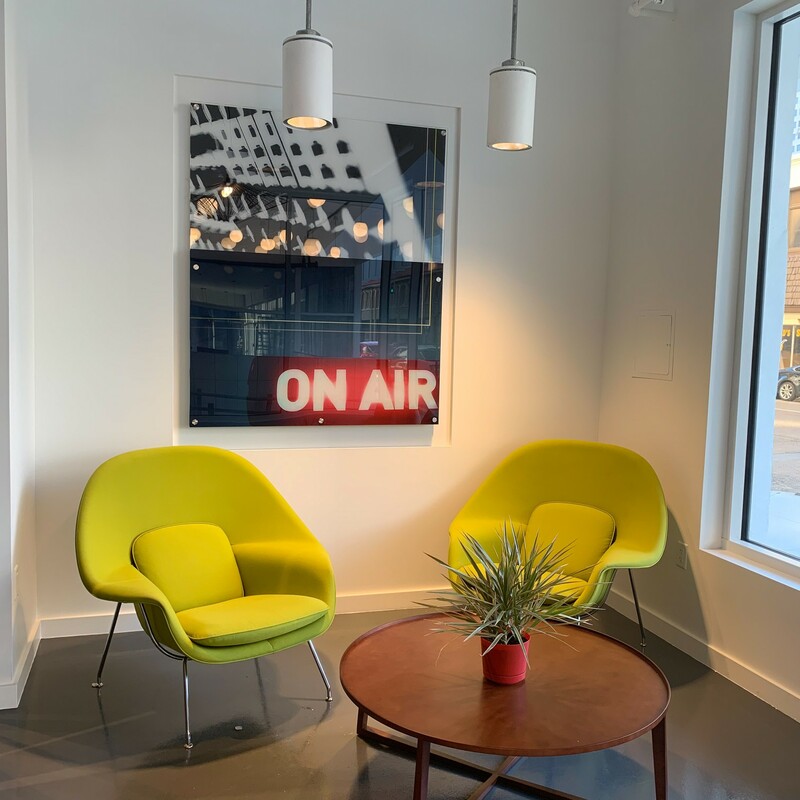 This space was recently renovated with elegant, modern amenities and accommodations that are bound to make your stay in downtown Memphis memorable and exciting. This ten story hotel features 119 rooms that are furnished with amazing, unique art and furniture. The lobby is filled with beautiful pieces that will make you feel right at home. Checking in at the beautiful hotel lobby was a breeze. They were able to quickly pull up my information and send me straight up to my 9th-floor hotel room. After we got settled in our rooms, we came back down to truly admire the lobby and take some pictures for the blog. The hotel lobby has quite a few beautiful sitting areas. These are perfect for waiting for a friend to get ready, get a few pictures in before you head down to Beale Street, or do some people watching in. 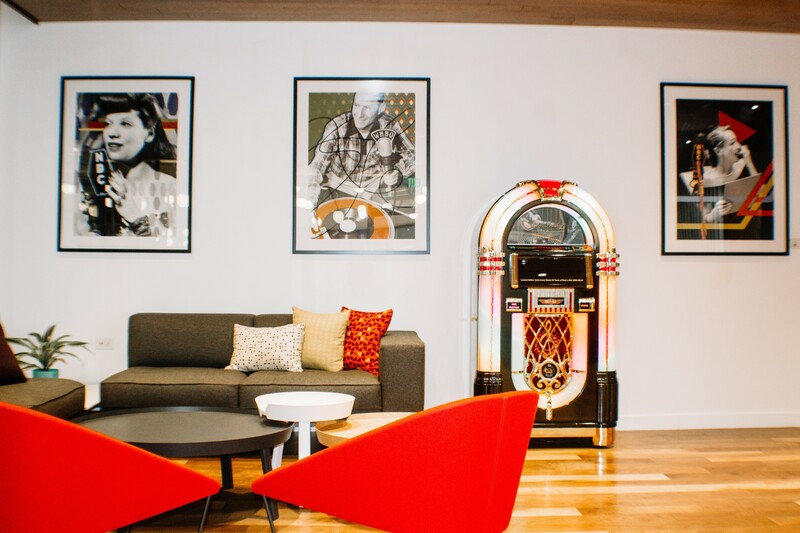 Each space was filled with nods to music such as a jukebox in one area, guitars, and an On-Air picture framed in another space. This sitting area featured below was probably my favorite one. I loved this console and how Hotel Indigo decorated it with small nods to Memphis music. Lastly, this sitting area below looks out into the road in front of the hotel which is perfect for people watching and chatting with a friend about your plans to take on the town. Did you get hungry and need a quick bite to eat? 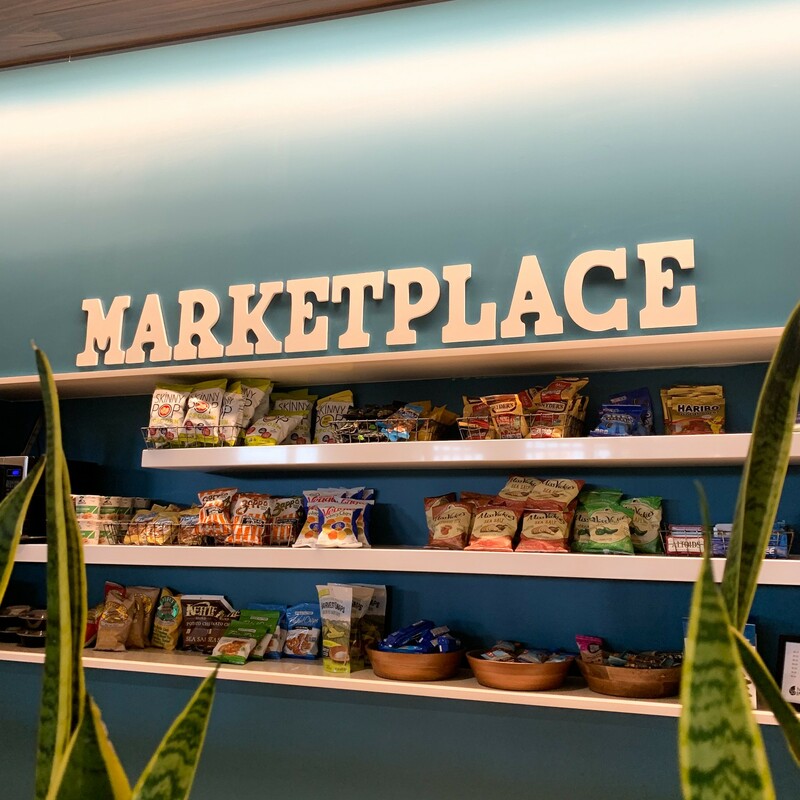 There are tons of quick snacks in the marketplace that you can pick up to purchase. There are cold drinks in the lobby for purchase, not seen below. Last, there is even a microwave in the lobby in case you need to heat something quickly. Want to get a quick workout in during your stay at Hotel Indigo? Lucky you! There is a pretty awesome gym located on the property to help you stay fit (if walking down to Beale Street wasn’t helping enough.) There are lots of activities to do in the gym like weightlifting, an exercise ball, treadmills, etc. 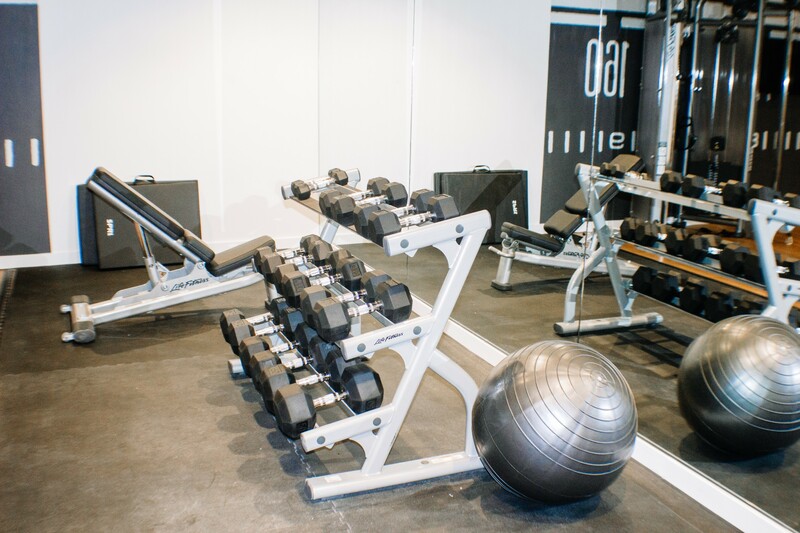 No matter your exercise regimen, you can use this gym to stay in shape while in Memphis. Want to cool off during a hot, southern afternoon? 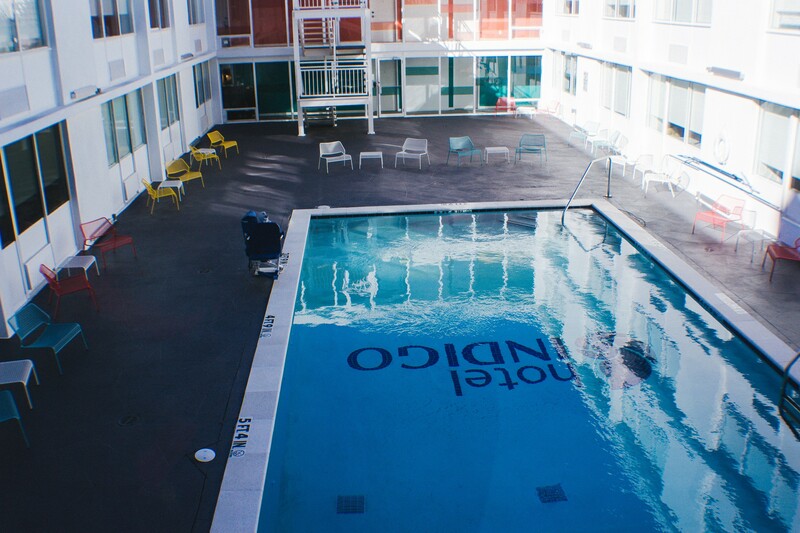 There is a rooftop pool on the property that will help keep you cool and refreshed. My visit was just a weekend trip, so I didn’t get to enjoy the pool, but it looked like a serene, beautiful place to stay for a while. The hotel will soon have a restaurant and bar for guests to enjoy. The restaurant will be called 3rd And Court when it is finally open on the property. 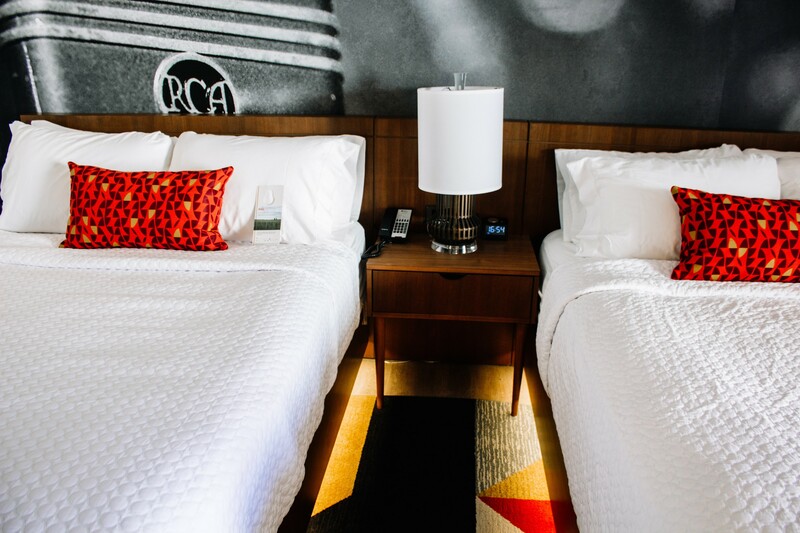 There are a variety of rooms at Hotel Indigo Memphis. Since I was traveling with my parents, I opted for a standard room with two queen beds. The beds were amazing to sleep in. Everything was clean, and the pillows were extra fluffy. Seriously, I want to harp on these beds for a little while longer. It was such a comfortable bed to fall asleep in. Sometimes when I stay in hotels, the beds are a bit too firm for my liking. After I slipped up the covers at Hotel Indigo, it was only a matter of time before I was out like a light. There were a ton of artistic music touches in the hotel room as well. 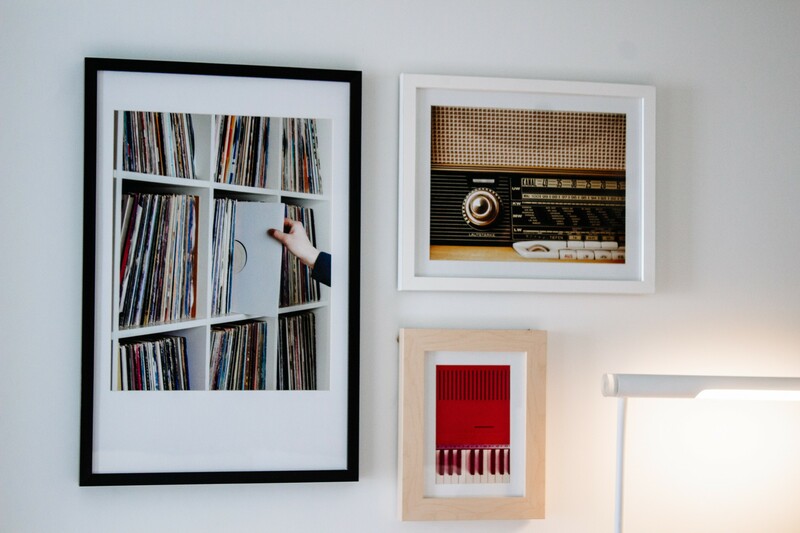 I loved this little gallery wall featuring records, radios, and a cute piano/keyboard. They nailed down the spirit of Memphis in all of the hotel rooms here. There was also plenty of seating and homey touches throughout the hotel room like throw pillows, tables, and even a massive mural behind the bed that you can see glimpses of throughout these pictures. Now, for a more in-depth conversation about the bathroom. 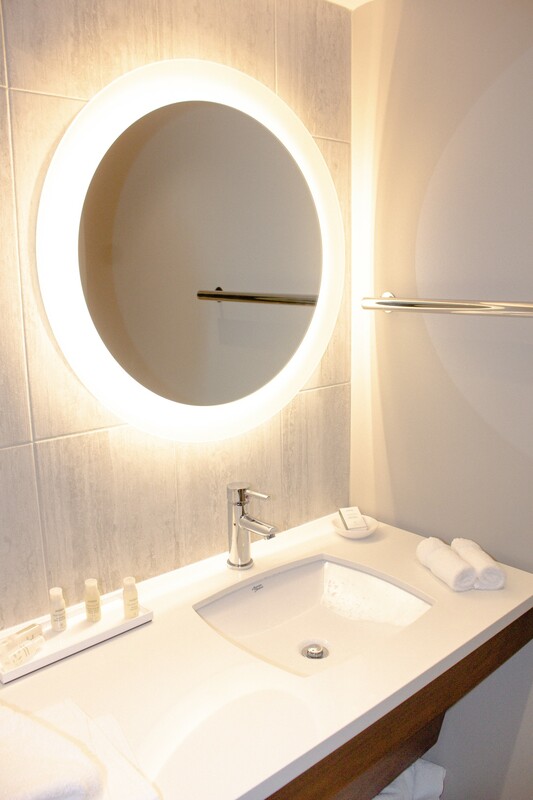 The bathroom was a well-lit, private area in the room. It was closed off with a cute little sliding door. Inside, the bathroom was beautiful and spa-inspired. 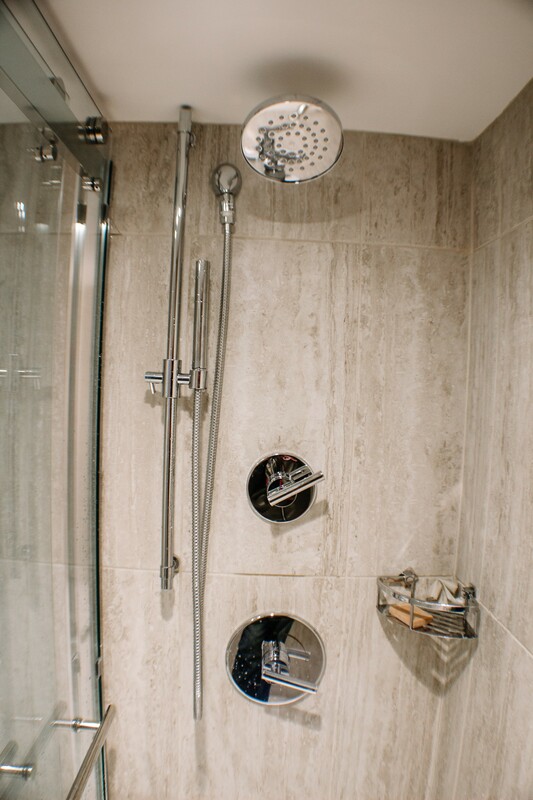 The shower was magnificent, the Aveda products that came in the bathroom smelled amazing and minty-fresh, and overall it was just such a pleasant bathroom to be in. I need this bathroom to be my real life, everyday bathroom, y’all. There were a ton of other details in the room too. Each room came with a mounted 43″ HDTV so you can watch all the television your heart desires at night when you are drifting off to sleep or in the morning as you are getting ready for the day ahead. 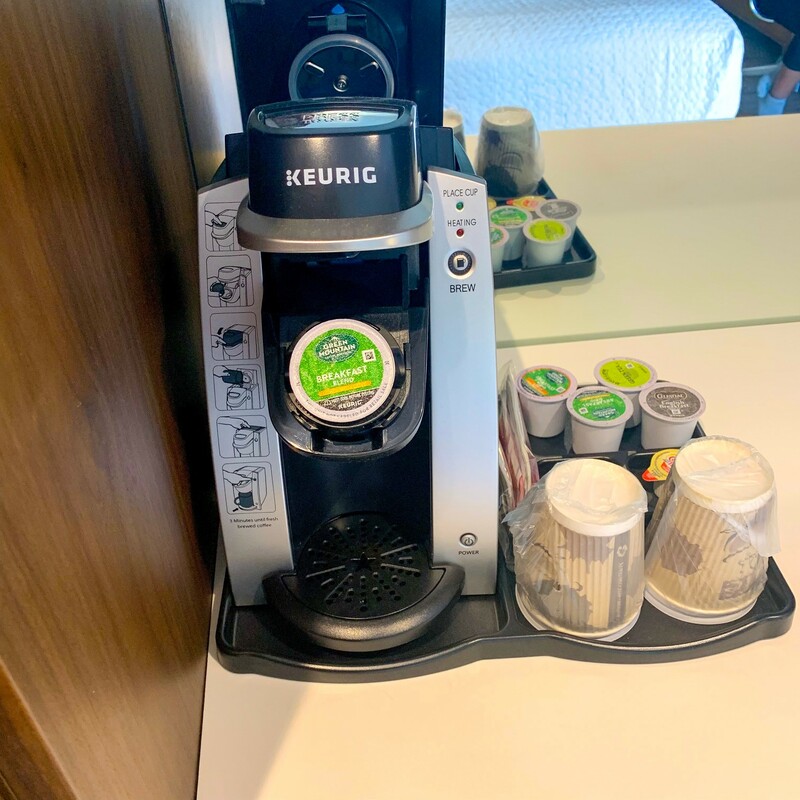 One touch I truly adored was the Keurig coffee station in your room. If you love coffee and you wanted a steaming, hot cup of joe in your room, this is for you. I love Keurig, and we actually have two at my house. It was so cool to see this as a coffee station in the hotel. 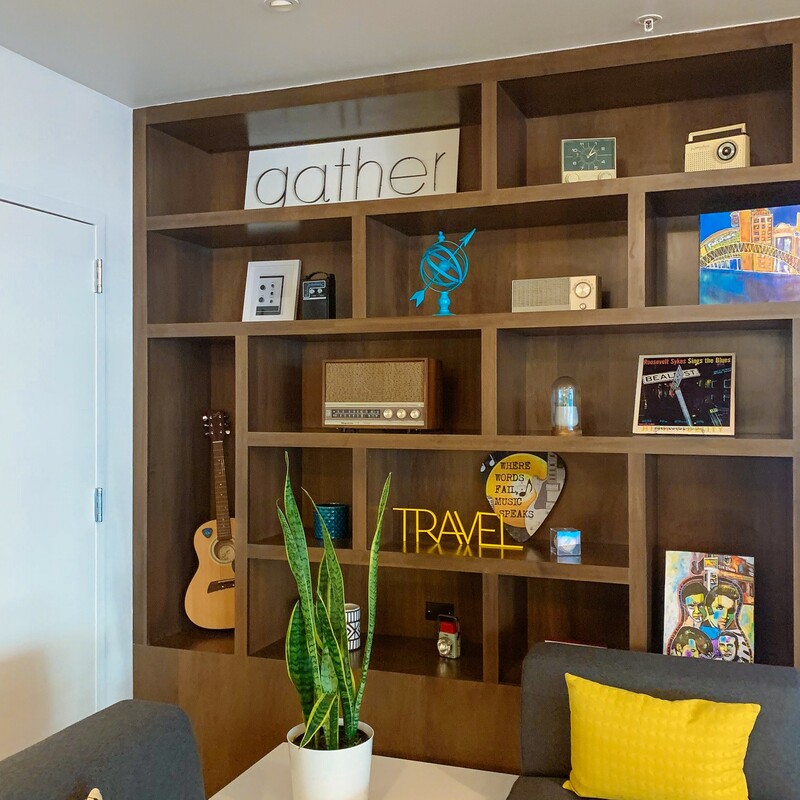 Your rooms also come with a significant amount of closet space, a mini-fridge, and a desk area so you can chill out and work on business or personal projects when you aren’t exploring Memphis. 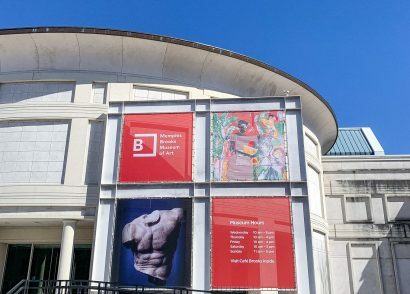 When you are done exploring the hotel, and you want to get some sightseeing in around Memphis, here are a few things you can do near Hotel Indigo. AutoZone Park is a few blocks away from Hotel Indigo Memphis. At the moment both the Memphis Redbirds (Baseball) and Memphis 901 FC (Soccer) play on the field at AutoZone Park. If you are looking for a family-friendly activity nearby, you should keep up to date with what’s going on there. One of the best parts about this hotel is how close it is to Beale Street. We parked our car at the hotel on Saturday when we arrived, and we didn’t need it again until after we got ready to leave on Sunday morning. Beale Street is less than a half a mile from the hotel. 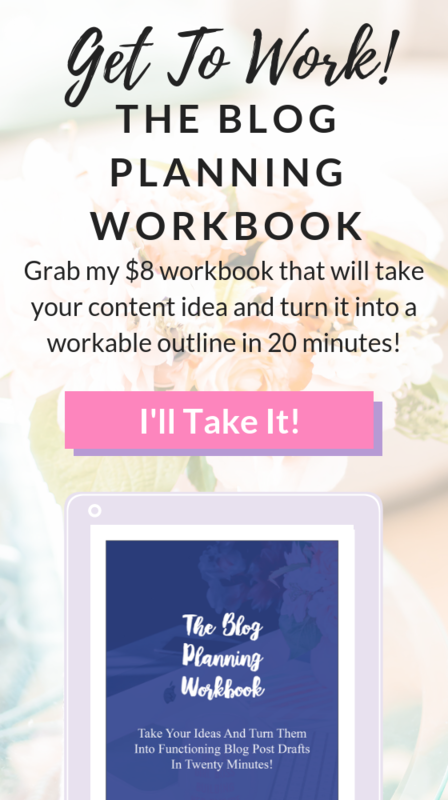 You could honestly do the walk in 10-15 minutes, maybe even less depending on how fit you are. 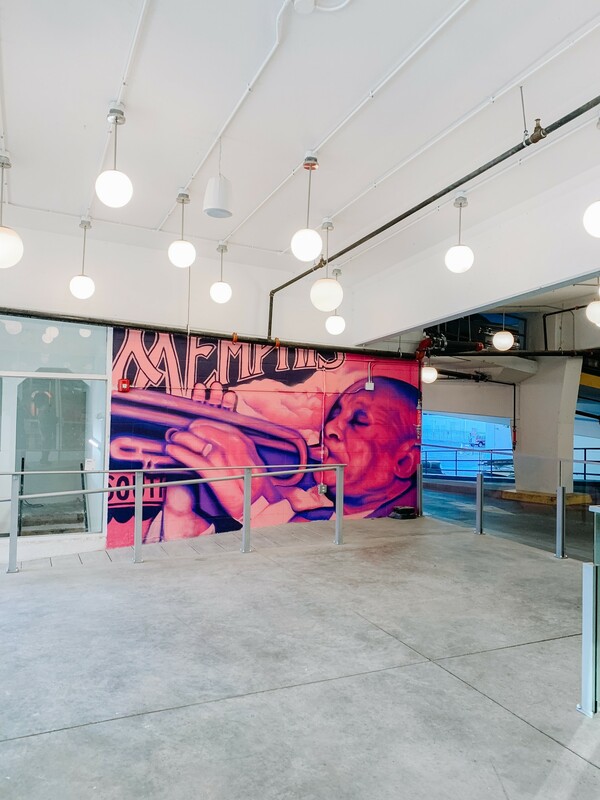 Go check out Handy Park, Lew’s Blue Note Bar & Grill, the FedEx Forum (home of the Memphis Grizzlies and a ton of other fun concerts/shows), or any number of remarkable places while you are on Beale Street. There is so much street art near the hotel as well in the parking garage of the hotel. You are honestly greeted with art around every corner here. Explore the area and all of Downtown/South Main Arts District for a ton of artistic inspiration. 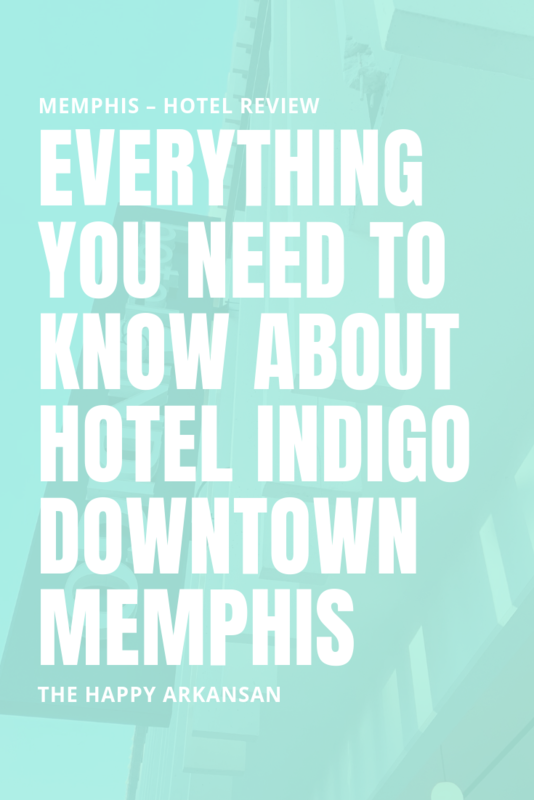 Since Hotel Indigo is in Downtown Memphis, there is a trolley stop near the hotel. Trolleys are all over downtown Memphis, so if you want to explore a bit, hop on the trolley for some excellent views of downtown Memphis. If you’re going to ride, you’ll need exact change to for your trolley trip. Check out the MATA (Memphis Area Transit Authority) page on trolleys for more information. 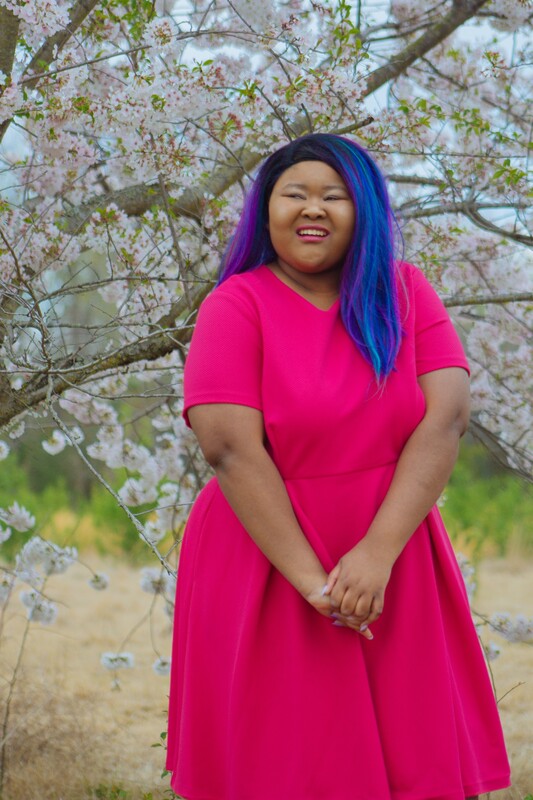 Check out my full Memphis, Tennessee travel guide for more fun things to do. There is onsite parking. Parking is a huge hassle in Memphis, especially since parking in downtown can cost $20+ for just a few hours of your time. Parking at Hotel Indigo is only $20 a day, which is helpful if you don’t want to chance it trying to park closer to Beale Street. Dog-Friendly. If you want to vacation with your best dog friend, you are welcome to. 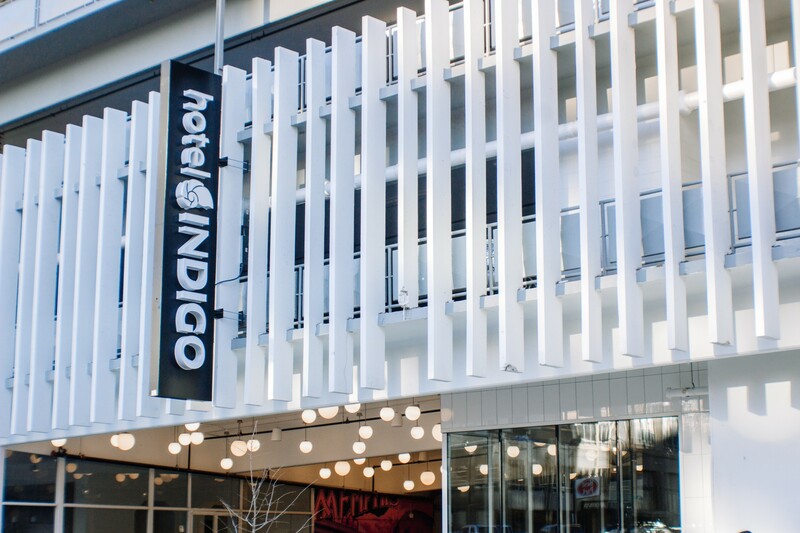 Hotel Indigo is dog-friendly, although you want to connect with them for more info on which breeds and weights are allowed. You get other small amenities too. Free wi-fi, a business center, and meeting spaces in the hotel? Check, check, and check! Conclusion: Stay At This Hotel! 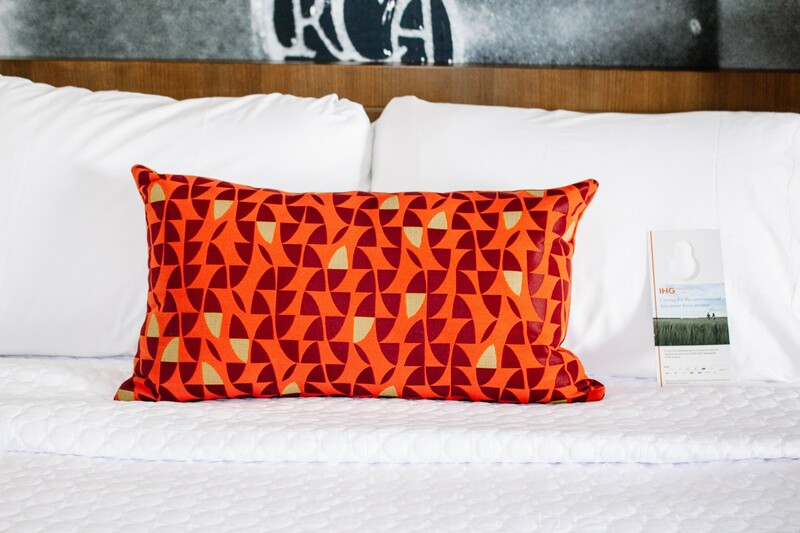 On your next trip to Memphis, Tennessee you need to stay at Hotel Indigo Memphis. It is such an excellent place to get a room for a night or a few nights. I know that you will love your time here as you get to know all that Memphis has to offer.